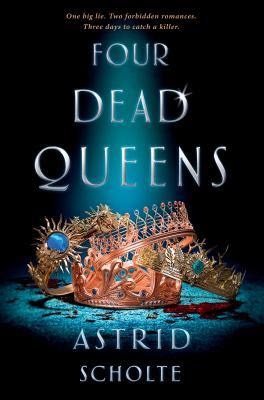 An enthralling fast-paced murder mystery where competing agendas collide with deadly consequences, Four Dead Queens heralds the arrival of an exciting new YA talent.Seventeen-year-old Keralie Corrington may seem harmless, but she's, in fact, one of Quadara's most skilled thieves and a liar. Varin, on the other hand, is an honest, upstanding citizen of Quadara's most enlightened region, Eonia. He runs afoul of Keralie when she steals a package from him, putting his life in danger. When Varin attempts to retrieve the package, he and Keralie both find themselves entangled in a conspiracy that leaves all four of Quadara's queens dead. Please note: There is discussion about eugenics and killing of lesbian characters in this story. Read more about this in Cait's review. Please note #2: I am going to spoil the book in my review to explain my opinion on one aspect. I do not condone the use of eugenics or creating characters to rid them of disabilities and killing them off quicker because of said disabilities. I do not think that this was handled well in the story - but it did have the potential to be. However, we cannot judge based on potential for things. With respect to the icing of the gays, I am torn. I identify as bisexual, not lesbian, so I cannot speak in terms of the actual representation of the characters and how they are portrayed in that regard. I didn't, however, have that much of an issue with their deaths. I mean. It's right there in the title, folks. I understand that one of the queens lived and, yes, it could have been that this queen had been one of the gay characters. But I'm not super mad about them both dying. I thought overall it was a pretty well told story, with a few mishaps along the way. The story felt a little flawed in how it was told: I liked the vignettes of the queens interlaced with the forward plot but I thought that parts of it lagged a bit. I would have liked a faster pace throughout, especially since Keralie thought the queens were murdered. There wasn't as much urgency as there should have been based on the context of the story. This one started a little slow, and I think because it is a standalone it tried to do a little too much, but I did really enjoy it. I was right about a lot of my theories but there were some surprises as well. If you like genre mashing, especially between mystery and fantasy, this is the book for you! Skipped your review since you gave this a high rating and you said you were going to spoil something; I wasn't sure if I'd read this, but I'm thinking I might. Pretty sure it's on my TBR. I didn't think anything about the deaths except for... it being their death & being murdered. Even as BI, I didn't find it any kind of way?? That being said, I agree that this had just too much going on. 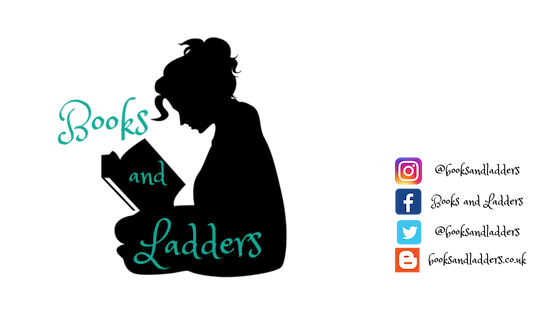 Fantasy, sci-fi, dystopian and just all over the place!